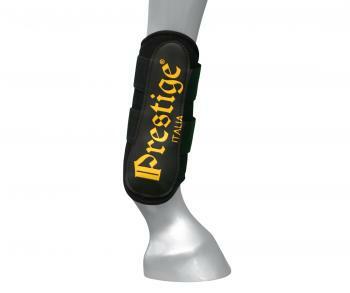 Endurance Tendon and fetlock boots for the endurance line, in special, anti-allergy, light, and washable neoprene. They absorb neither dampness nor sweat and can be washed using water. The size range is S, M, and L. The boots come with a Velcro fastening and are available in black.